So we live for that which ought to be. For a prophetic people the “ought” is more real than the “is”. That which “is” passes away. That which “ought to be” is eternal. A prophetic people live always with a promised-land tradition. 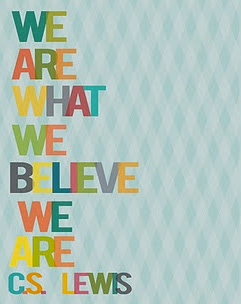 We believe in the future and live for that which is to be. It is the conviction of a prophetic people that the principles by which they live will ultimately shape the common life of human kind. And because they live in Christ, they are convinced of the ultimate victory of truth and justice and goodness. As we explore more fully what it means to live “Continuing Revelation” as an enduring principle I am immediately drawn to the words of J.C. Stuart. Wow! What a challenge - to be so captured by God’s emerging future that it becomes more real than the reality of the present. Imagine the disturbing actions a prophetically convicted people would take to enact God’s future into being! This is more than passing optimism or simply hoping something might come to pass. This is the essence of what it means to become prophetic – in the words of Walter Brueggemann to exercise “prophetic imagination”. When we truly create space to encounter the Holy, it radically alters our perspective– this is why it is so dangerous to get close to the burning bush. This is why we focus more on being shaped than being sent. When we focus primarily on being sent we are most often determining the agenda and terms of our response. When we create space to encounter the Holy we are allowing the Spirit to shape us and it changes everything! What once seemed foolish now seems possible. Fears fade in the stunning light of future possibility. We find ourselves compelled to speak out and enact a radically different future into being in circumstances and places no one expected God’s future to emerge. If you are planning on a predictable and stable new year then think again. As unnecessary suffering occurs all around us the Spirit is urgently seeking to break in and disrupt us with a vision of what might be for our lives, families, congregations, neighborhoods and world! Mission begins with encounter and is definitely disruptive!! God, help me be fully awake and ready to respond.